Omgosh! 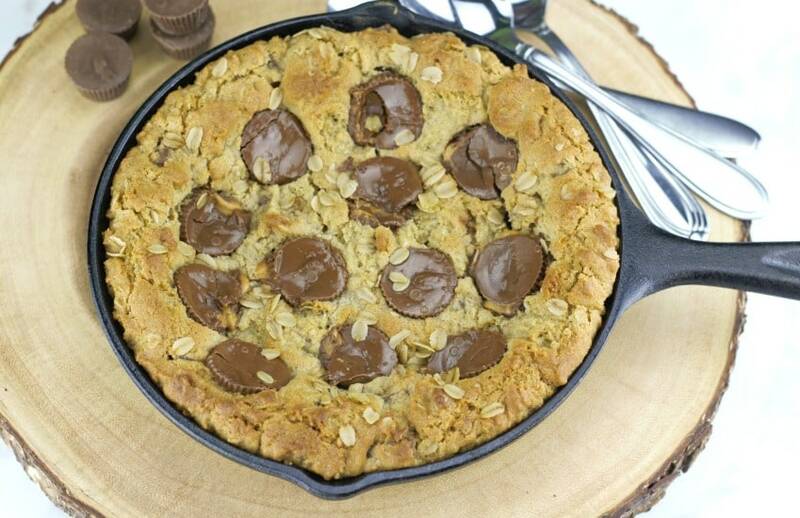 Peanut Butter Cup Oatmeal Chocolate Chip Skillet Cookie, I love you! This post contains affiliate links, see my non-disclosure for more information. I love using these ingredients, because they are usually in my pantry and they are very popular in dessert recipes, no doubt! So, I have been wanting to buy a cast iron skillet to make my own skillet desserts for my family. Guess what? I finally did it! 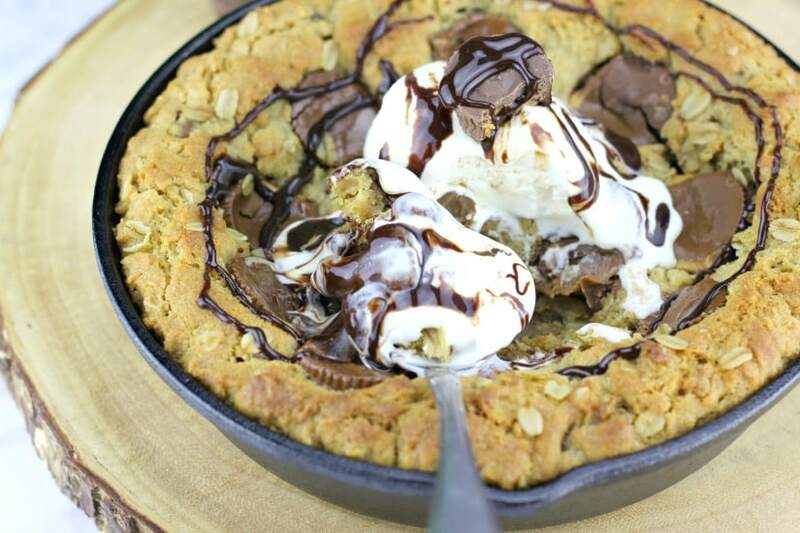 My inspiration: When we go out to restaurants, we usually end up ordering the skillet cookies or brownies, because we can all share it and it’s sooo indulgent. It’s such a fun experience to share and bond over good food together right? 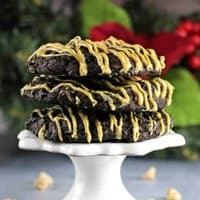 With warm-gooey skillet cookies you get lots of moaning sound effects of major oohhing and ahhing going on in between bites of deliciousness! Who’s going to get that last bite? I’ll fight ya for it! 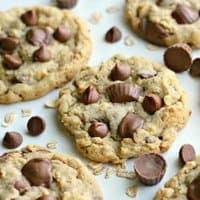 For more peanut butter, chocolate and oatmeal yum-yumss, check out these Reese’s Pieces Peanut Butter Oatmeal Cookies, these Delish Chocolate Chip Peanut Butter Oatmeal Bars, Reese’s Peanut Butter Cup Chocolate Chip Oatmeal Cookies and I can’t leave out this Chocolate Chip & Peanut Butter Oatmeal Cake. If you want a thinner cookie, you might like this Lodge LCS3 Cast Iron Chef’s Skillet, Pre-Seasoned, 10-inch . Here is a silicone handle that is an afterthought. Remember these pans will sizzle your paws! So use caution when handling transferring while hot, using heavy mitts or towels. You can find the handle here: Lodge ASHH11 Silicone Hot Handle Holder, Black and guess what I found out? There is also a pan with a silicone handle too. Who knew, but it’s brilliant! Lodge Cast Iron Skillet with Red Mini Silicone Hot Handle Holder, 8-inch . I may add to my collection, this is my first cast iron skillet and I’m having fun!. 🙂 I see a skillet brownie in my very near future. Stay tuned! 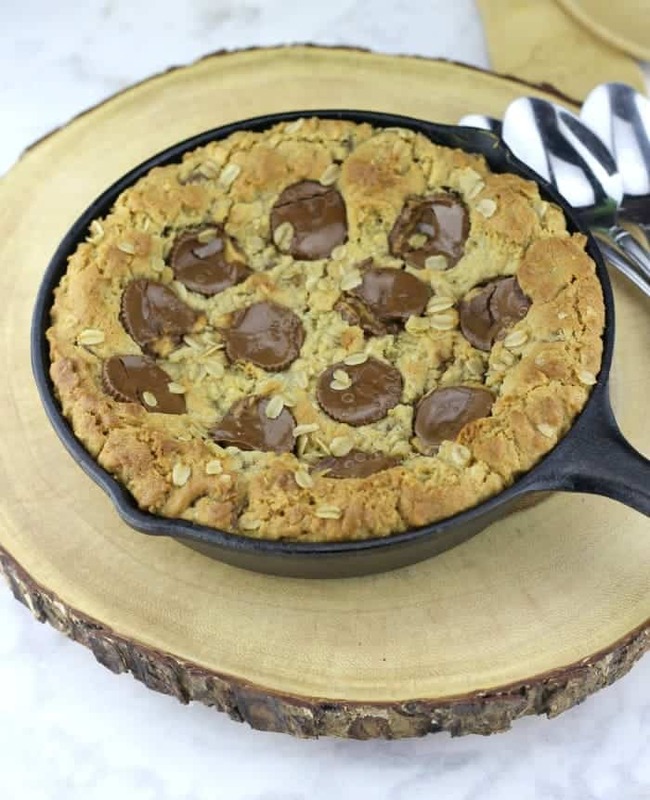 Peanut Butter Cup Oatmeal Chocolate Chip Skillet Cookie is baked to a golden brown and it's awesome served melty-warm right out of your cast-iron skillet. 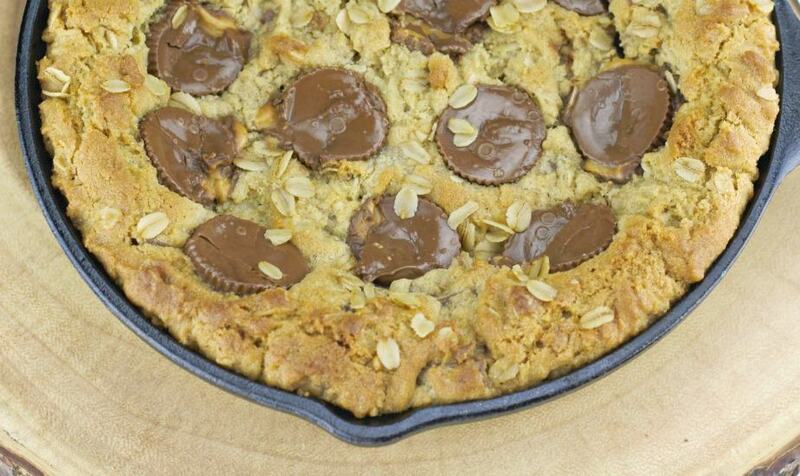 Wait till you taste this yummy, gooey peanut butter oatmeal cookie with chocolate chips and peanut butter cups! To take it top level, bring on the creamy vanilla ice cream and some chocolate syrup! Preheat oven to 350 and spray a 9 inch cast iron skillet with non-stick spray. Combine flour, baking soda, salt, and oats together in a medium bowl and whisk together, set aside. In a large bowl, using a mixer, cream together butter and sugars until light and fluffy. Add in peanut butter, egg, and vanilla and mix together until well combined. 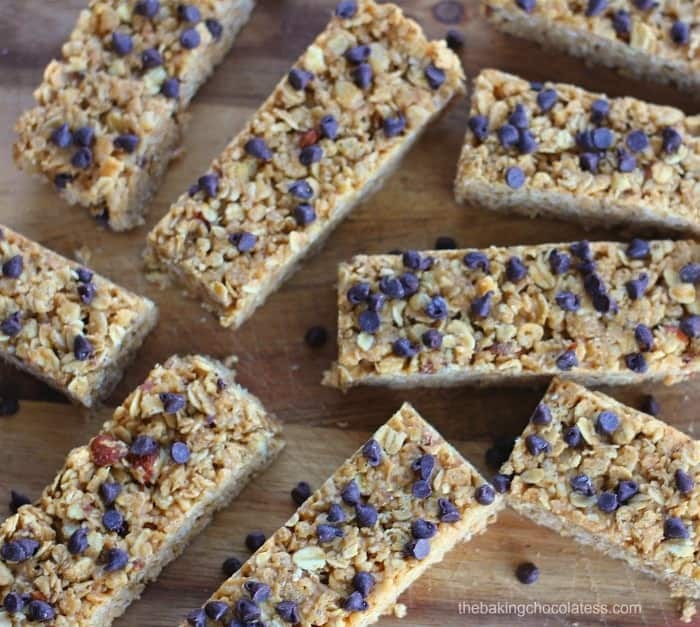 Add dry ingredients and chocolate chips to wet ingredients and mix until just combined. Press cookie dough into your prepared skillet, but leave a 1/2 inch space between dough and skillet edge to allow the dough to spread out. Press peanut butter cups into dough, as many as you like, but don't press them down deep, the cookie dough will rise, so you don't want them sunken into the cookie. Bake 25-35 minutes until an inserted toothpick comes out clean and golden brown. The last 10 minutes you might opt to place tin foil on top of your cookie, if it looks like it's browning too quickly. Transfer from oven and serve warm, with vanilla ice cream and chocolate syrup. Make sure after your press your cookie dough in the skillet, that it is not taller than the skillet, it will rise while baking. The deep dish baking skillets are really nice. See below what I'm using! You can substitute flour for your favorite gluten-free flour as well. Awww! Thank you Maria! I appreciate that so much and it was amazing! 😀 I would make it again in a heartbeat! 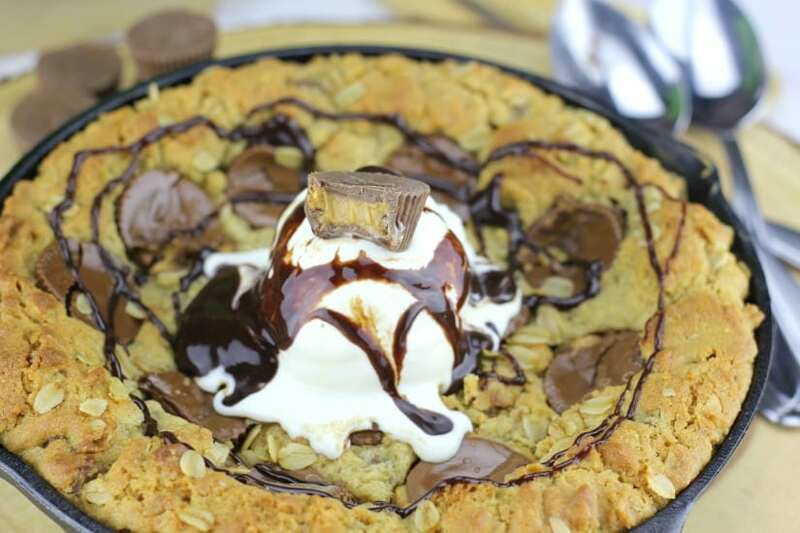 I have yet to attempt a skillet cookie because they just seem dangerous :). But I’m dying looking at your pics! Next time I have plenty of people over I’m trying this for sure! Have a great week, Kim!